In its new 2018 report, the World Commission on Climate and Economy (WCCE) is calling for a price per tonne of carbon of between $40 and $80 by 2020. For the Carbon Tracker think tank, the inevitable rise has already begun, and Africa could benefit from it. The new report of the World Commission on the Economy and Climate entitled “Developing a New Model for Inclusive Growth for the 21st century: Accelerating Climate Action in an Emergency Context”, was submitted on September 5, 2018, to the Secretary General of the United Nations. It presents a new growth model for the 21st century and applies it to the main economic systems: energy, cities, food and land use, water and industry. The new macroeconomic modelling method, developed for the report, analyses the economic opportunity for bold climate action. Accelerating efforts on carbon pricing is at the top of the five major resolutions prioritised by Cmec to achieve the main objective of the 2015 Paris Conference on Climate Change (COP21). The African continent, which accounts for only 5% of the world’s CO2 emissions, would thus have the capacity to benefit from a carbon market boom, which will reach $565 billion by 2020, according to estimates by Point Carbon, an independent information platform on the electricity, gas and carbon markets. Africa, which is presented by climatologists as the continent that is most exposed to the effects of climate change, could thus adapt, while thriving in a more sustainable way, thanks to its carbon sequestration potential. “Although the dynamics of the energy transition have begun, current efforts are not enough to keep the global average temperature increase below 2°C,” says the 2018 report of the World Commission on the Economy and Climate (WCC). Cmec proposes that the world’s major economic powers, under the aegis of the G20, set a carbon price of at least $40-80 by 2020, as well as a predictable growth path until 2030. These projections and Cmec’s resolutions are not fiction, because the future is already knocking at the door of the global economy. According to a Carbon Tracker study entitled “Carbon countdown” published on August 21, 2018, future allowance reductions, linked to the European stability mechanism, will lead to a price per tonne of carbon on the market, which will reach up to €40 over the next five years, €25 by the end of 2018 and €35 in 2019, €40 in 2020 and 2021 before falling slightly to €35 in 2022 (or just over $40). These projections are corroborated by Simon Quemin and Raphaël Trotignon, researchers at the Climate Economics Chair at the University of Paris Dauphine. For Mark Lewis, author of the Carbon Tracker report and head of carbon research at Deutsche Bank, this trend is already perceptible in an increasingly volatile and rising market: the price per tonne of CO2 is currently at €20 after flirting a few days ago with €25. A level multiplied by three times in one year… And even if the price per tonne of carbon is not unified, the increase now seems inevitable. Africa will soon be the main supplier of carbon credits? After the dramatic drop in the price of a carbon tonne, which for a long time was between €0.5 and €5 per tonne), the situation is therefore changing. And Africa could benefit from it because environmentally friendly industrial and energy projects can generate profits thanks to the carbon credits they generate. When such a project prevents CO2 emissions, it receives carbon credits that it can then resell, as long as it is certified. For Fabrice Le Saché, citing the World Bank, the African continent will be the main supplier of carbon credits by 2050. This applies in particular to energy efficiency, renewable energy and waste management projects. It is also the case for projects that protect the forest, by preventing deforestation or ensuring its reforestation. Through a chemical process called photosynthesis, forest trees, especially those in the Congo Basin, the second-largest tropical forest reserve (after the Amazonian forest), absorb carbon dioxide from the air and combine it with sunlight to provide the energy they need. 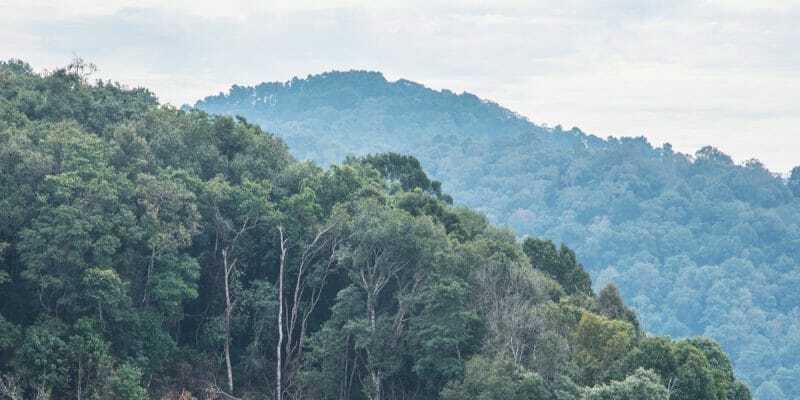 The mechanism of absorbing carbon dioxide from the atmosphere and producing oxygen has given large forests the name of “carbon sinks” or “lungs of the world”. Studies by the UN Intergovernmental Panel on Climate Change (IPCC) ensure that Africa’s forests capture nearly 1 trillion tonnes of carbon.